We love having volunteers at the farm. If you want to come out to help, remember to bring a hat, some water, and clothes you don't mind getting dirty in. And FYI: the proper bathroom is a ten minute walk from our fields; we generally use the woods or the weeds. 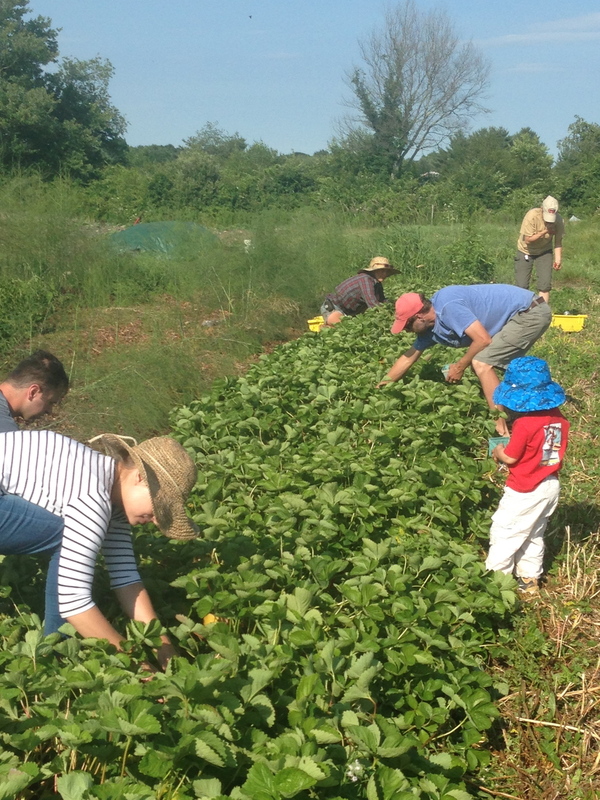 CSA members are not required to work on the farm. That said, we love to have members out to see where their food comes from. Friday afternoons from 2-5 are a good time to come work with us as we have work-shares out helping to harvest your share and work on other big projects as a group. You can come for as little time as an hour and we'll find something for you to do. You can also just come take a walk and check out the plants. We also have a couple events a year when members are welcome to tour the fields and help out. Usually there is a strawberry harvest event in mid-June, a farm tour in August, and a fall harvest party in October that members are welcome to attend.